From 1943 till 1945, Italy was occupied by Nazi Germany and acted as a puppet state, called the Italian Socialist Republic and led by the infamous Benito Mussolini. 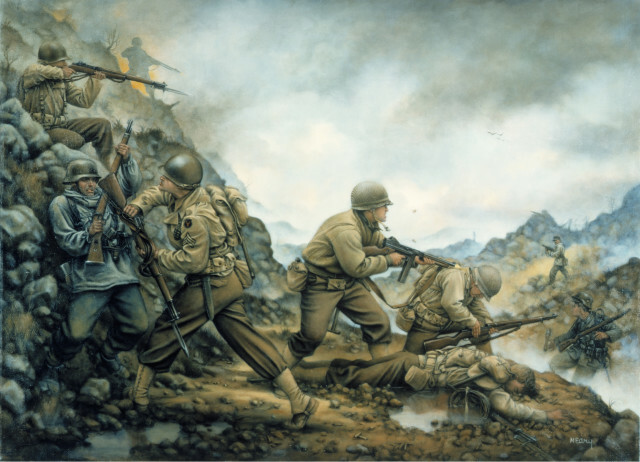 After the Allies landed on the toe of Italy, they slowly fought their way up the Italian boot, having to cross multiple rivers and steep mountain ridges. These were heavily fortified by the Germans making the Italian campaign a costly and slow struggle for the Allies. One of these defensive lines was the “Winter Line”, which was focused around the town of Cassino and the nearby mountain with the same name. This particular town was of heavy strategic importance as Highway 6 passed through it, connecting that part of the country to Rome. The Allies landed in Italy in September 1943 led by General Sir Harold Alexander Commander in Chief of the Allied Armies in Italy, Lt. General Mark W. Clark leading the US 5th Army and Sir Bernard Montgomery chief of the British 8th Army. The three armies landed at separate locations, all with one goal: to capture Rome, knock Italy out of the war and advance on Germany from the South. The Allies faced severe difficulties in meeting these goals since the Germans had buckled themselves in tight, and the harsh terrain made it even more challenging. Rome was the ultimate target for the Allies, and there were only two routes by which it could be reached; Highways 6 and 7. The latter had been flooded by the Germans so Highway 6 was the only one through which the mission could be accomplished. The highway was dominated by the town of Cassino and the mountain behind it. The Germans had stationed their men on every peak, giving them a spectacular overview of the Allies in their preparations for battle. The battle wasn’t going to be an easy one. In fact, there were a total of four assaults required before Cassino and Monte Cassino were finally liberated. 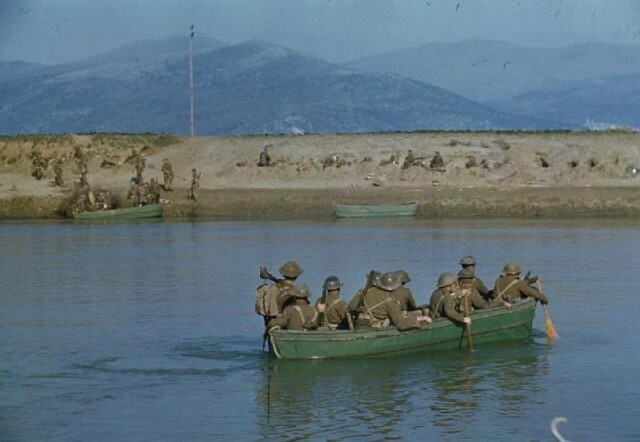 The first assault was launched on January 17th 1944 and was spearheaded by the British X Corps, who forced a crossing of the Garigliano River. Up against them was the German 94th Infantry Division which not only failed to stop the crossing but then started incurring huge losses which caused panic among the German XIV Panzer Corps. This caused the German Command to send in reinforcements from Rome which effectively stopped the X Corps’ advance. Three days later, the US 36th Division tried to cross the river Rapido. This time, however, they came under the guns of General Eberhard Rodt’s 15th Panzer Division. 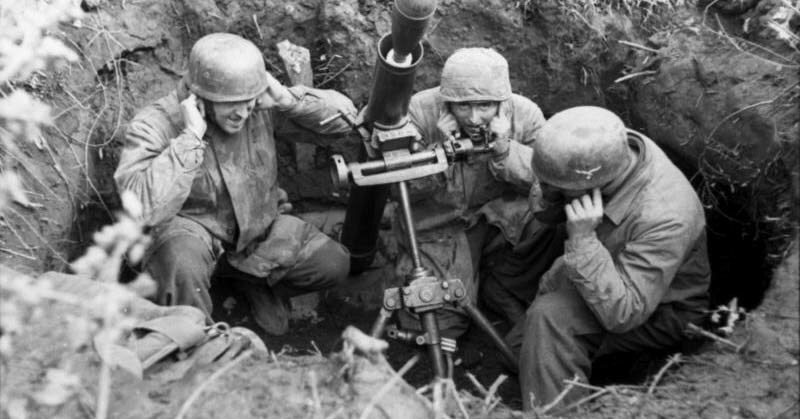 The Southern Group of the division was forced to retreat amidst a hail of German bullets. This time, the Germans had done their homework and stationed a well-supplied Panzer Division along the line. The US forces had no option but to take cover and wait for reinforcements. Within 48 hours, the Operation was declared a failure and the remains of the division was pulled back across the river. The 36th Division had lost 2100 men. Other groups, such as the French Corps, shared a similar fate after making advances. In the case of the French Corpse, they sustained 2500 casualties in their struggle to take the town of Monte Cifalco. Codenamed Operation Avenger, the second assault was launched with soldiers from New Zealand and India. The US VI Corps was under heavy enemy fire at Anzio so Lt. General Bernard Freyberg, commanding the 2nd New Zealand Division, ordered his men to break through the German positions so they could join with the US forces. Once again, the Germans were prepared for such an attack and responded ruthlessly. 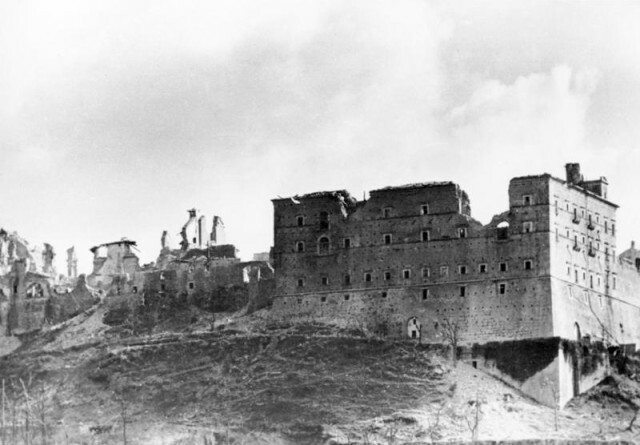 The Allies believed that the Germans had lied to them when they stated in advance that they weren’t using the St. Benedict Abbey on Monte Cassino for their own purposes, i.e. observation and defense. Even though there were conflicting reports from within the Allies, just to play safe, a bombing raid was ordered on the Abbey. The raid involved a 142 B-17s, 47 B-25s, and 40 B-26s. 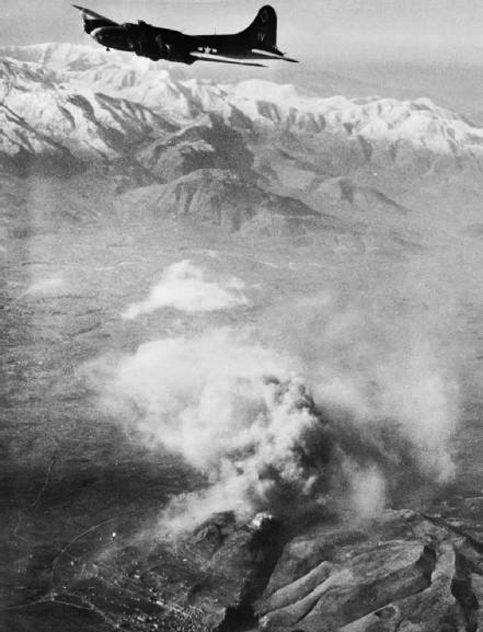 All in all, 1150 tons of bombs & explosives were dropped on the Abbey, and the entire top of Monte Cassino was in rubble. The Germans used this destruction of the Abbey for their own means and now openly occupied the top on which the St. Benedict Abbey was built. They turned the ruins into a fortress. On the night of February 17th, the second main assault took place and the Allies tried to make their way through the town by sweeping across the slopes & ravines. Once again they failed and almost 500 officers & soldiers were lost that night. A new attack was launched by the New Zealanders, trying to gain control of a railroad station in the town. This time, they managed to break through German defenses and hold the position long enough for reinforcements to arrive. For the 3rd assault, twin attacks were planned from the North of the Rapido Valley into the town and the Monastery Hill. The battle began on March 15th starting with an air offensive that dropped over 750 tons of bombs with delayed fuses. Next, the New Zealanders were ordered to move into the cover of an artillery barrage from almost 750 guns. However, the Germans stubbornly defended the mountain and were not easily broken. Still, companies from the British Indian Army managed to hold out on Hangman’s Hill, 250 yards from the monastery itself. The Allies were now planning a major surprise attack using tanks from the 20th armored division, but before those plans could materialize, the monastery, which provided a gateway to the town was reinforced by troops of the German 1st Parachute Division. As a result, the Allies weren’t able to make any more gains and on 23rd March meetings of the commanders took place. It was decided to stop the offensive and consolidate the positions that had been captured. The final assault was named Operation Diadem, and the main plan was to engage the US II Corps from the left along the line of Route 7 that led to Rome. The French Corps would move in from the right while the British XIII Corps would attack from the Liri Valley. The Canadian I Corps would be held in reserve. The first onslaught by the Allied forces began on May 11th, starting with a massive artillery barrage powered by 1660 guns. Within half an hour of this barrage, the infantry and armored units were ordered to move in from all four fronts. The British were making a heavily opposed but successful crossing, and the Poles managed to capture Point 593, Mount Cavalry – though it was retaken shortly afterwards by German paratroopers. By May 12th the tide had turned, and the Germans were facing increasing difficulties in holding the Allies back. On May 15th the British 78th Division was ordered to isolate the town of Cassino from the Liri Valley so the Germans wouldn’t be able to launch a major counter-attack. On the 17th May, the Poles launched a final attack on Monte Cassino and, after facing fierce resistance that quickly turned into hand-to-hand fighting, they managed to raise the Polish flag over the ruins. The Germans had been defeated, and the road to Rome was now open. The final count revealed that the Germans had lost 20,000 out of 140,000 soldiers, and an unknown number of tanks & armored vehicles, while the Allies had lost 55,000 out of 240,000 troops. The Allies didn’t pause in their advance. They continued to move through the broken defensive line as fast as they could before a counterattack was launched by the Germans. This quick response put the German 10th Army in full retreat, while the Allies were moving with haste to take back Rome from the puppet Socialist state.